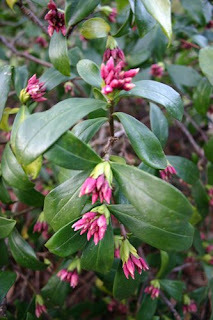 This is a photo of some of the buds on my daphne bush. It really looks like it is going to have a lot of flowers. My daphne bush is old and very sprace - I felt guitly picking flowers yesterday!